Open only on the occasion of exhibitions and special events. Special openings on Monday 30 April and Tuesday 1 May. Used for a long time by the Archaeological Superintendence as a deposit of materials from the excavations, the complex of San Pancrazio had already been destined to exhibitions in a project by Raffaello Delogu in the 1930’s. 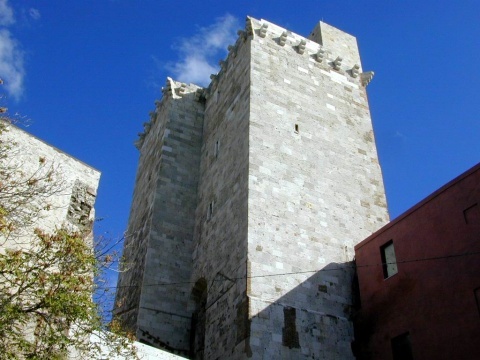 At the end of the 15th century, due to the Turkish incursions, the Viceroy Juan Dusay decided to strengthen the system of fortifications of Cagliari. To defend the northern side of the fortifications, a second wall and a moat were built close to the medieval tower of San Pancrazio. Soon this system became obsolete due to the introduction of firearms and was later modified by military engineers. In the 19th century, it served as a hospital for the condemned detained in the tower and later as a deposit of excavation materials by the Archaeological Superintendence. Subsequently, the historical relevance of the complex gave it new functions as an exhibition area. To preserve its homogeneity, a steel structure with wooden platforms has been designed to let the visitors see the original elements of the ancient structures.